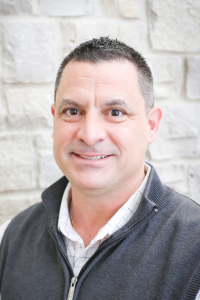 Robb has been a valuable team member at Gateway for over 23 years as a Mortgage Loan Officer. He’s been named a 5-star Mortgage Professional for 5 consecutive years by adapting and tailoring solutions to a diverse client base. His biggest thrill on the job is watching clients dream of owning a home become a reality and he finds enjoyment in seeing repeat customers years after their first success coming back again. A Kenosha Tremper graduate and then Carthage graduate, he has given back to his alma mater by helping coach the Cyclones Girls Softball team for over 20 years. He has been married 19 years and has 3 kids that he spends time watching play softball, volleyball, and soccer. When he does get a minute to himself, he loves to hunt and fish. Robb finds the addition of the Kenosha Kingfish baseball team and the continuous growth of the community to be strong draws to the Kenosha area.